The flag at Waterloo Town Hall will fly at half-mast tomorrow (Friday, April 6) in honour of a Cleansing Operative who helped keep Sefton’s streets spotless for almost five decades. David McCallister, 62, worked for Sefton Council for more than 44 years and sadly passed away on March, 22 this year. A valued member of Sefton Council’s Street Scene team, David joined the authority in August 1973 and initially worked from a former depot based at Cambridge Road in Crosby. His work as a Cleansing Operative saw him cover an area that encompassed Blundellsands, Seaforth, Waterloo and Crosby and he also undertook occasional duties as a Refuse Collector. Tomorrow (April 6), friends and colleagues will pay their final respects to David at his funeral held at Thornton Crematorium where former Crosby MP Claire Curtis-Thomas will deliver a eulogy. Tributes to the “workaholic” music-lover have flooded in from co-workers, with many describing David as “irreplaceable” and “one of a kind”. 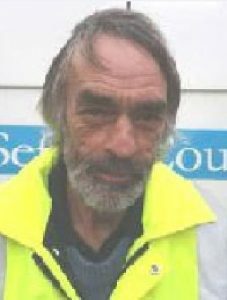 Gary Berwick, Sefton Council’s Cleansing Services Manager, said: “Dave was one of our finest Street Cleansing staff members and an irreplaceable member of the team. Ronnie Jones, Attendant at Waterloo Town Hall, said: “David’s reputation was second-to-none. Not only was he an excellent employee but he always had a smile on his face – he was never happier than when he was working. Praising David’s “old school” work ethic, Dave Dolan, Traded Services Officer, added: “Dave was one of a kind and completely irreplaceable. “He cleaned the road where I lived and was always smiling, come rain or shine. Nothing was ever too much trouble and he was always happy to go the extra mile. Mark Magee, Deputy Convener of Unite and David’s former line manager, said: “He was an unassuming, humble man who will be hard to replace; not just because of his work ethic but because he was always smiling. A funeral for David will take place at Thornton Crematorium on Lydiate Lane in Thornton at 3.20pm on Friday, April 6. All are welcome to attend.